Facebook (s fb) in the last year has made some dramatic mobile moves, including buying Instagram for $1 billion and reverting to native mobile apps instead of relying on HTML5. 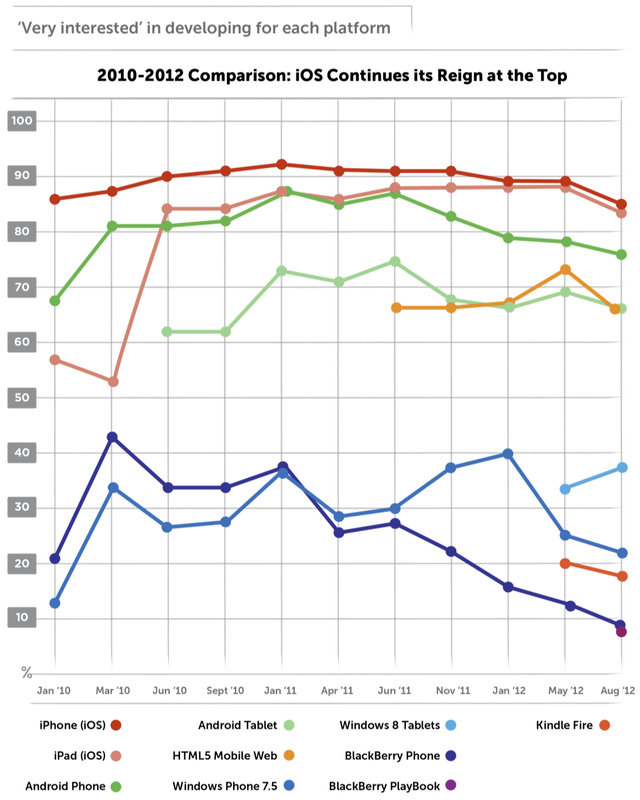 A new developer survey from Appcelerator and IDC underscores why Facebook made those moves and what kind of threats and pitfalls it faces in mobile. In the survey of 5,526 Appcelerator Titanium developers in late August, 66 percent of respondents said it was “likely or very likely” that a mobile-first startup could break Facebook’s dominance in social. The results highlight the dynamic shift underway as more consumers move to smartphones and tablets from PCs, creating a potential for disruption for incumbents. And it helps further explain why Facebook bought Instagram, a mobile photo sharing social network that now counts 100 million users. Especially as younger consumers grow up on mobile, there’s a danger that something built from the ground up on a mobile platform can undermine Facebook, which is falling out of favor with some young mobile users. The developers also expressed their disappointment with many of the features in HTML5. Developers said they were neutral to disappointed with HTML5’s monetization (83.4 percent), security (81.8 percent), fragmentation (75.4 percent), performance (72.4 percent), timeliness of updates (67.9 percent), user experience (62 percent) and distribution control (60.3 percent). Developers were only positive on HTML5’s cross-development capabilities (83.4 percent) and immediate updates (81.8 percent). Facebook CEO Mark Zuckerberg admitted earlier this month that the company’s biggest mistake was betting on HTML5 over native apps. Even though Facebook’s web apps actually get more traffic than its native apps, Zuckerberg said the company’s hope that it could squeeze good enough performance from HTML5 proved too optimistic. Facebook reversed course with the latest iOS apps (s aapl), which are built with native code instead of relying on HTML5. 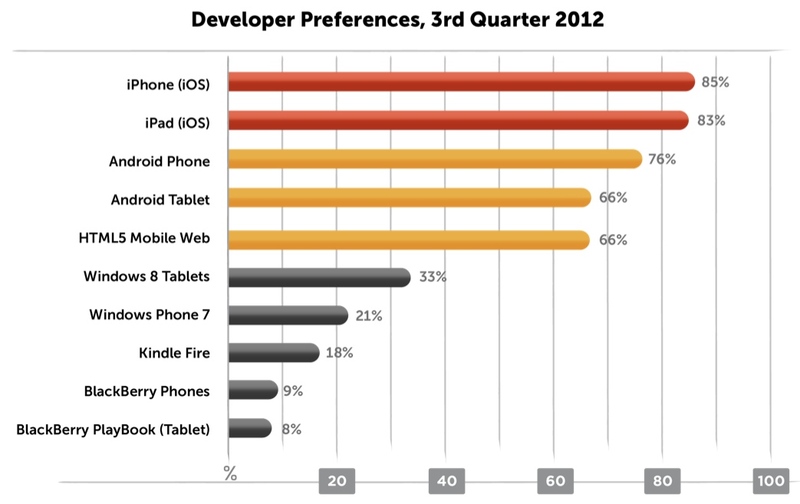 The developer survey results help further explain why Facebook couldn’t rely on HTML5 at this point. 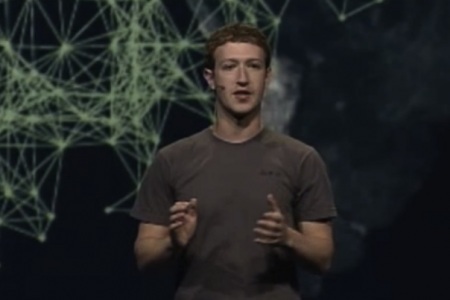 As Zuckerberg pointed out, developers often can’t get the quality they want out of HTML5 apps. Shifting to native apps, however, has produced a 2x boost in the number of stories read on Facebook’s new apps, he said. Developers believe that by 2015, they’ll be writing a lot of mobile apps for devices beyond the smartphone and tablet. The most popular predictions were for the TV (83.5 percent), connected cars (74 percent), game consoles (71.2 percent), Google Glass (s goog) (67.1 percent), and foldable screens (69.1 percent). Apple is the top developer platform for Titanium developers with 85 percent of developers very interested in building apps for iOS smartphones and 83 percent very interested in building iPad apps. Research in Motion’s (s rimm) traction with developers hit a new low with 9 percent very interested in building BlackBerry apps compared to nearly 40 percent in January 2011. Android support is also slipping with developer interest in Android smartphone apps falling to 76 percent while tablet app interest has slid to 66 percent. 70% interest in 70% of the market is good enough to beat 100% interest in 30% of the market. 40% interest in 5% of the market is not good enough. Every platform seems to be falling in this survey. What gives? Why doesn’t apple improve safari to make HTML apps faster?